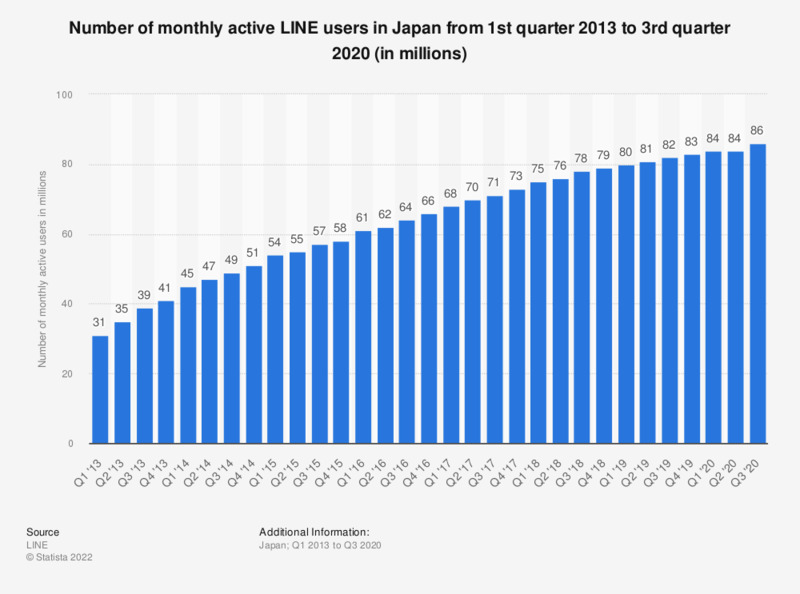 This statistic shows a timeline with the amount of monthly active LINE users in Japan as of the third quarter of 2018. The chat app recorded approximately 78 million monthly active users in its home market during this quarter. Data prior to Q3 2017 comes from previous reporting. Everything On "Mobile messenger apps" in One Document: Edited and Divided into Handy Chapters. Including Detailed References.